Registered dietitians Anne Woodbury, of Utah Valley Specialty Hospital, and Jill Marshall, of Northern Idaho Advanced Care Hospital, recently were selected to present a poster on an initiative regarding how nutrition affect patients on ventilators at the national ASPEN 2018 Nutrition Science and Practice Conference in Las Vegas. Titled “Nutrition Administration and Ventilator Weaning in Long-Term Acute Care,” the abstract also was published in the January 2018 Journal of Parenteral and Enteral Nutrition supplement. These dietitians have been working on data collections and how nutrition promotes successful ventilator weaning. Trustpoint Rehabilitation Hospital of Lubbock recently expanded from 60 to 93 beds to meet the growing post-acute healthcare needs of Lubbock, Texas, and surrounding areas. The hospital, which is part of Ernest Health, provides specialized rehabilitation services to more than 1,100 children and adults annually who are recovering from or living with disabilities caused by injuries, illnesses, or chronic medical conditions. It offers the only pediatric inpatient rehabilitation program in the area, serving children and their families from outlying areas such as eastern New Mexico, the Texas panhandle, and the Permian Basin. With the additional beds, the hospital now is expected to treat about 2,000 patients every year. In discussing the expansion, Craig Bragg, CEO of Trustpoint Rehabilitation Hospital, says an increased community demand for more rehabilitative services is due to a number of factors, including a fast-growing population in Lubbock County and an aging population. After careful research and consideration, the hospital’s and Ernest Health’s leadership teams decided upon a $4.5 million expansion of its existing facility to create an additional 33 beds. The therapy gym also was enlarged to 7,700 square feet of therapeutic space. Trustpoint Rehabilitation Hospital, which has served the Lubbock area since 2008, has twice been recognized in the Top 10 percent of inpatient rehabilitation facilities in the United States. The expansion has provided 119 additional jobs for the area, with 70 more planned within the next three years. Cindy Tew, Ernest Health’s Director of Clinical Programs and Resources, has been selected to present at the 2017 American Association for Respiratory Care Congress. At this event, Tew will present an Ernest Health initiative in nutrition management and administration for patients being weaned from ventilators in its long-term acute care hospitals. The initiative, which won the 2017 Quality Achievement Award from the National Association of Long Term Hospitals, explored specific nutritional indicators that could be tracked that might influence ventilator weaning. In particular, the initiative focused on finding if the level of protein provided to a ventilated patient had any effect on the success of weaning the patient off the ventilator. The project was initiated by Tew and Anne Woodbury, registered dietitian nutritionist at Utah Valley Specialty Hospital, a member of Ernest Health. Northern Idaho Advanced Care Hospital has been recognized nationally for its respiratory failure care, recently becoming the 1st hospital in Idaho to earn The Joint Commission’s disease-specific certification for Respiratory Failure. Fortunately, the hospital staff is well prepared to treat respiratory failure. And for our patients, the right care can mean the difference between life and death. Hundreds of patients are treated at Northern Idaho Advanced Care Hospital every year. The hospital, which celebrates its 10th anniversary this month, provides long-term acute and critical care services to patients throughout the Inland Northwest who are recovering from serious illnesses or injuries. Often these individuals need care for medically complex conditions such as trauma, infectious diseases, wound healing, cardiovascular disease, stroke, amputations, and – as already discussed – respiratory failure. 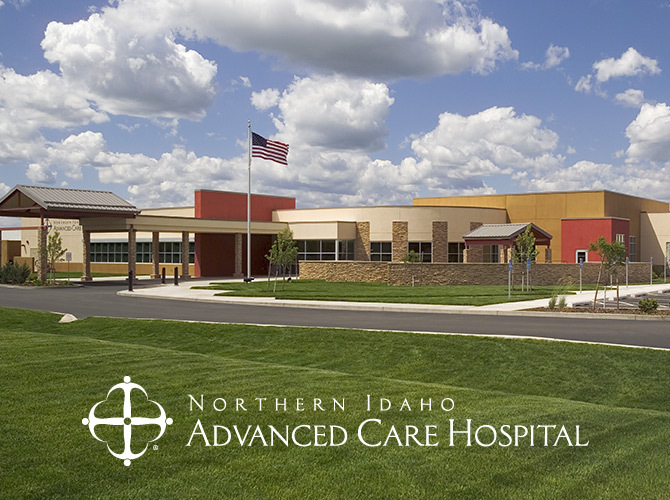 At Northern Idaho Advanced Care Hospital, patients receive 24-hour nursing and respiratory care services (the hospital’s respiratory care services also are recognized nationally); speech, physical and occupational therapies; aquatic therapy; pain management; dysphagia management, ventilator weaning; and wound care. The hospital also offers a cardio/pulmonary recovery program. A patient care team comprised of physicians, nurses, therapists, pharmacists, and other personnel work with a patient’s attending physician and other specialists to create a personalized plan that’s tailored to the patient’s needs. The hospital, which is located at 600 Cecil in Post Falls, features all private patient rooms, and an 8-bed high-observation critical care unit. All patient rooms include cardiac monitoring equipment and mechanical ventilators. The hospital also features a 2,590-square-foot therapy gym with private therapy rooms and a heated aquatic therapy pool. Utah Valley Specialty Hospital is the first hospital in the state to earn The Joint Commission’s disease-specific certification in Respiratory Failure. The hospital earned The Joint Commission’s Gold Seal of Approval for Respiratory Failure after a rigorous on-site review last month. Respiratory failure occurs when there isn’t enough oxygen passing from the lungs into the body’s bloodstream. Different types of diseases can cause respiratory failure, including lung diseases such as chronic obstructive pulmonary disease (COPD), pneumonia, or cystic fibrosis. Respiratory failure also can be caused by conditions that affect the nerves and muscles that control breathing such as stroke, spinal cord injuries, and muscular dystrophy. 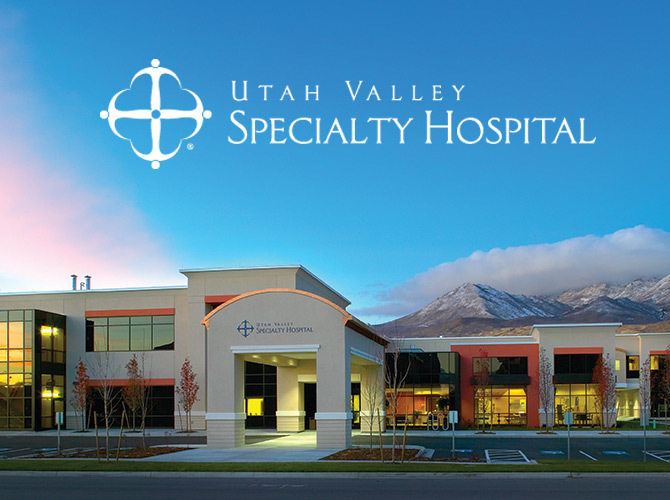 In addition to The Joint Commission’s respiratory failure certification, Utah Valley Specialty Hospital also is one of 700 nationwide – or 15 percent – that has earned the national Quality Respiratory Care Recognition from the American Association for Respiratory Care. The designation is given to facilities that meet strict safety and quality standards related in providing respiratory care. The hospital provides hundreds of patients throughout Utah every year with long-term acute and critical care services. These patients, who are recovering from serious illnesses or injuries, often need care for medically complex conditions such as trauma, infectious diseases, wound healing, cardiovascular disease, stroke, amputations, and respiratory failure. The hospital, which is located at 306 River Bend Lane in Provo, features all private patient rooms, and an 8-bed high-observation critical care unit. All patient rooms include cardiac monitoring equipment and mechanical ventilators. The hospital also features a 6,000-square-foot therapy gym with private treatment rooms. 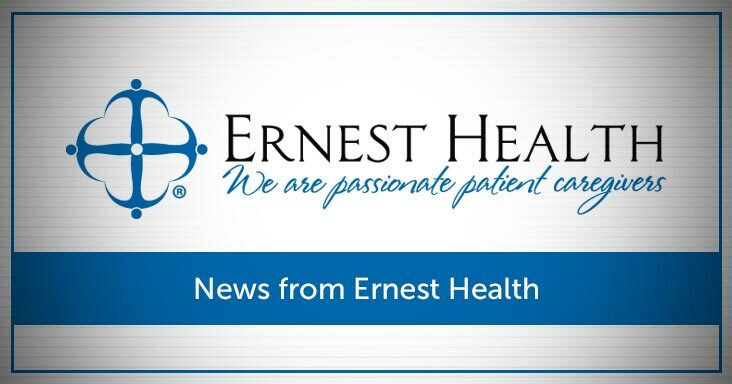 Eleven Ernest Health hospitals recently were ranked in the top 10 percent of inpatient rehabilitation facilities in the United States. Ernest Health provides inpatient and outpatient physical rehabilitation services through 14 hospitals located in Arizona, Colorado, Idaho, Indiana, New Mexico, South Carolina, Texas, Utah and Wyoming. Each hospital is managed locally to best meet the needs of each community. The national ranking was provided by the Uniform Data System for Medical Rehabilitation (UDSMR), a not-for-profit corporation that was developed with support from the National Institute on Disability and Rehabilitation Research, a component of the U.S Department of Education. The UDSMR ranks rehabilitation facilities based upon care that is patient-centered, effective, efficient, and timely. Ernest Health’s hospitals were ranked this past year out of 783 inpatient rehabilitation facilities nationwide. UDSMR administers the world’s largest medical rehabilitation database, providing common language and measurement tools to monitor patient results. The data used for the most current ranking was based on 12 months of information from 2014 from both Medicare and non-Medicare patients. The results were combined and weighted into a score, and each facility was then assigned a percentile rank. Brockette says that the staffs’ efforts not only raise the level of care in their local communities, but nationwide as well. Ernest Health was founded in 2004 and has been providing specialized rehabilitative services to patients since 2005, when the first hospitals opened. Ernest Health’s rehabilitation hospitals treat thousands of patients every year who are recovering from disabilities caused by injuries or illnesses, such as strokes, orthopedic, brain and spinal cord injuries. The hospitals also treat individuals with chronic illnesses such as cerebral palsy, ALS (Lou Gehrig’s Disease), multiple sclerosis, or Parkinson’s disease.